Maintaining the right balance of testosterone can maximize your body's response to weight training. 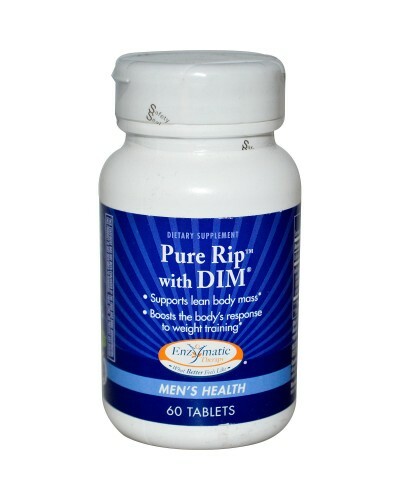 The hormone balancing benefits of Pure Rip with DIM dietary supplement in strength training and bodybuilding programs provides ultimate health support for increased lean muscle and improved physical conditioning. Recommendations: One tablet daily with food. 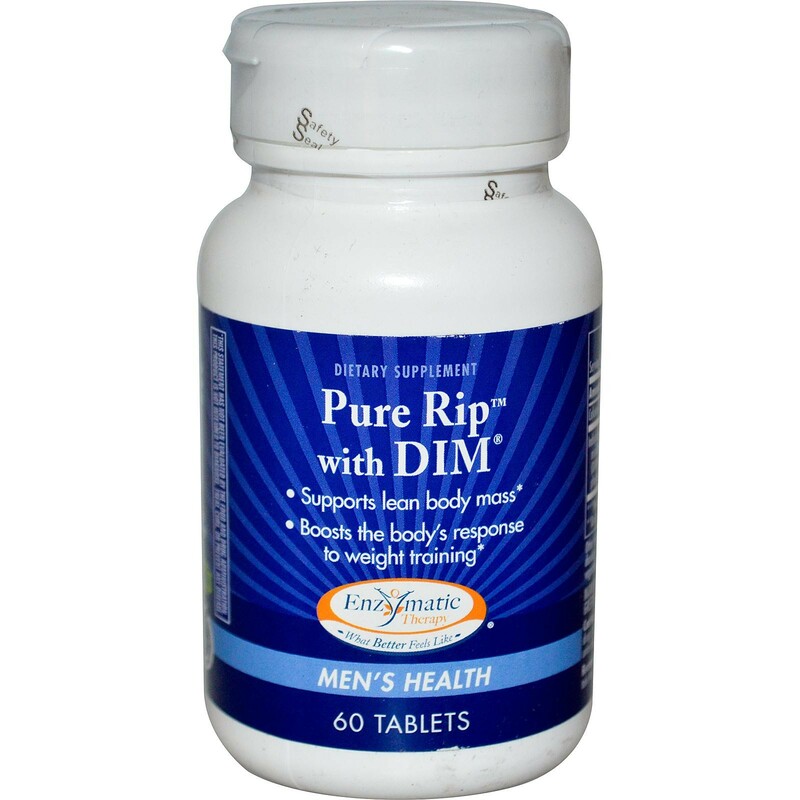 If extra support is required, take two tablets with food. Other Ingredients: Cellulose, modified cellulose gum, modified cellulose, silicon dioxide, stearic acid, magnesium stearate, titanium dioxide color, soy lecithin, and carnauba wax. All colors used are from natural sources. Women should not use if pregnant or nursing. If taking prescription drugs, consult your healthcare practitioner prior to use. Harmless changes in urine color may occur with the use of this product.